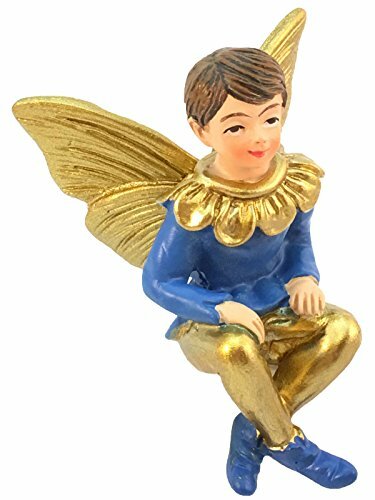 Joshua the boy fairy is wearing a bright blue shirt and matching fairy shoes. He wears gold pants and a gold collar that matches his golden wings that sparkle in the sun. 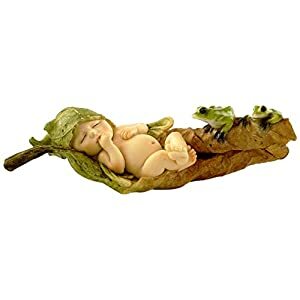 You will find little Joshua, the boy fairy, playing with his friends the baby gnomes, the sister fairies – Mimi and Lulu by the Koi pond in Gnomeland. 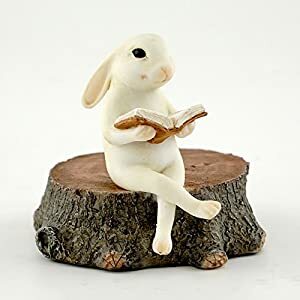 His favorite pastime is listening to the magical tree at story time being told of the enchanted land a long, long time ago. 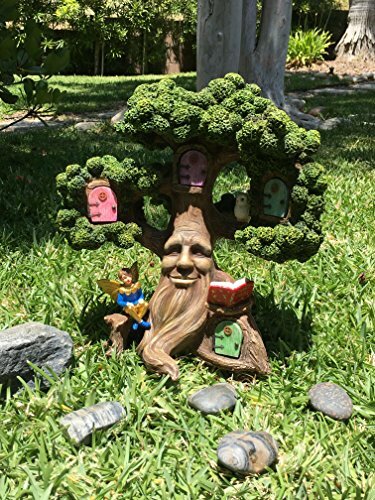 Since he spends most of his time in the fairy garden by the large (yet miniature) magical tree, that tree is known as “Joshua’s Tree” (by GlitZGlam – sold seperately) where this fairy has his own sitting place on the bottom branch. Joshua also loves to play with the gnomes and fairies at Fairy park and also to swing and slide with the baby gnomes. He also plays with Penelope the baby unicorn in the flower fields following butterflies wherever they go. 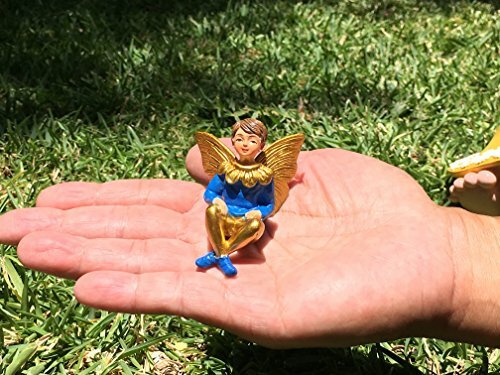 Adorable miniature boy fairy Joshua is your ideal boy fairy for your fairy garden. 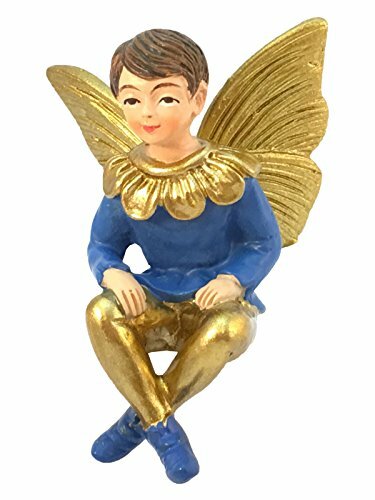 He is a great friend for your garden fairy figurines.. Joshua even gets along perfectly well with pixies and sprites and doesn’t mind their naughty tricks. 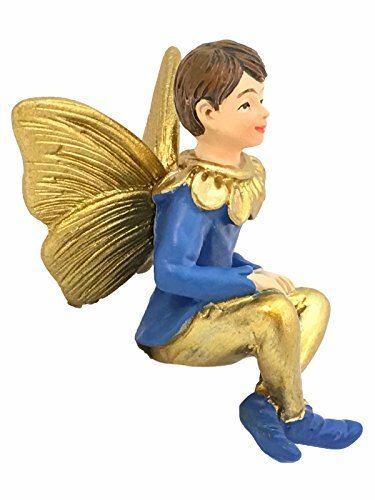 He prefers to stay in a beautiful childish yet elegant seated position on a rocking chair, bench or just on a small step. 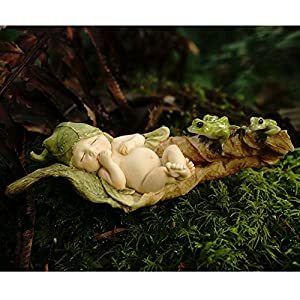 This miniature fairy figurine is a must have for your miniature garden! 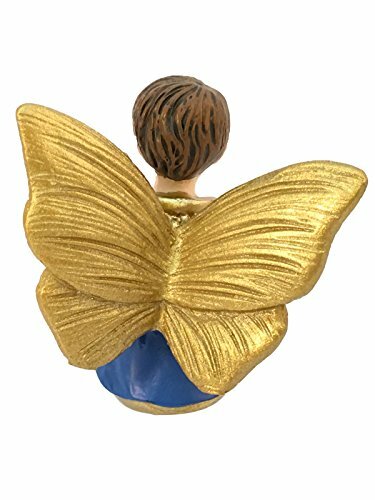 This miniature fairy is made from high-quality, non-toxic resin that lasts in the outdoors and will look beautiful and colorful for a very long time. 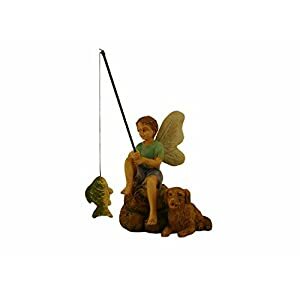 Does not include other figurines or accessories which might be showing in product images for display purposes. The design, craftsmanship and materials are amazing. When you look closely you’ll appreciate the attention to the smallest features and details. 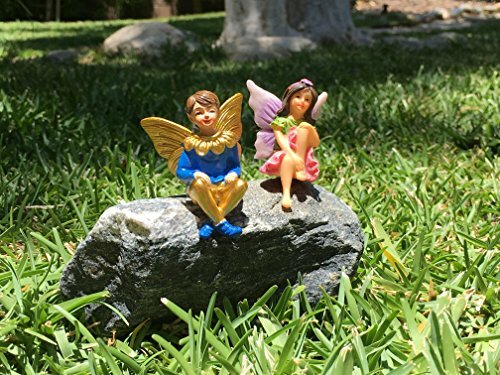 This fairy garden miniature is designed for outdoor / indoor / patio and lawn décor and can withstand all the elements of mother nature as it is casted in high-quality resin and hand-painted with care by our artists.